Hand clapping, elbow flinging and good old audience participation, Herr Heinrich and his gang will get your audience in the German spirit with traditional Waltzes, Polkas and Marches. Let them headline your event and lead the competitions, give out the prizes and even direct the drinking games if required. 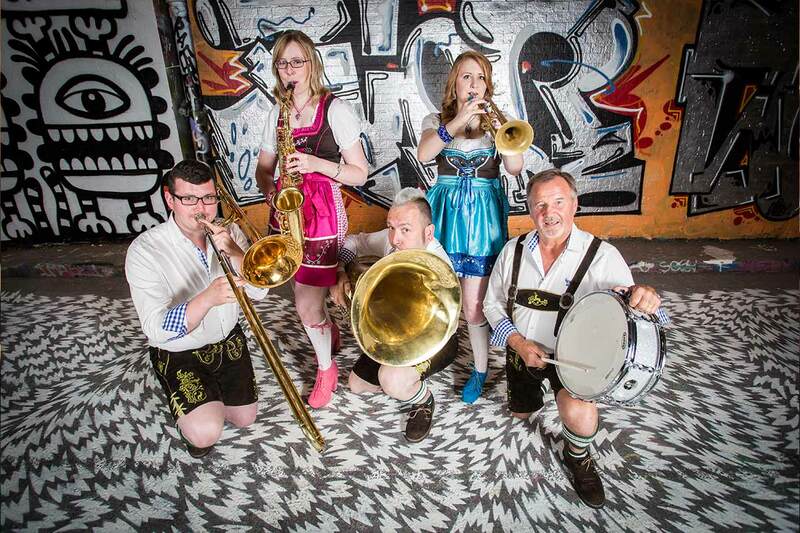 Dressed in full lederhosen, they cover many popular hits including songs like Country Roads, Titanium, Sweet Caroline, Rockin’ All Over The World, Come on Eileen, Don’t Stop Me Now to name just a few. The authentic sound of this german influenced outfit makes them ideal for beer festivals, Oktoberfest parties, corporate events, marketing, promotional events, nightclubs, bars, themed functions and TV work. They even arrive to each event in style (just watch the video).